Dual wire feeders have never really caught fire, in part, because fabricators see the price and don’t see the justification. 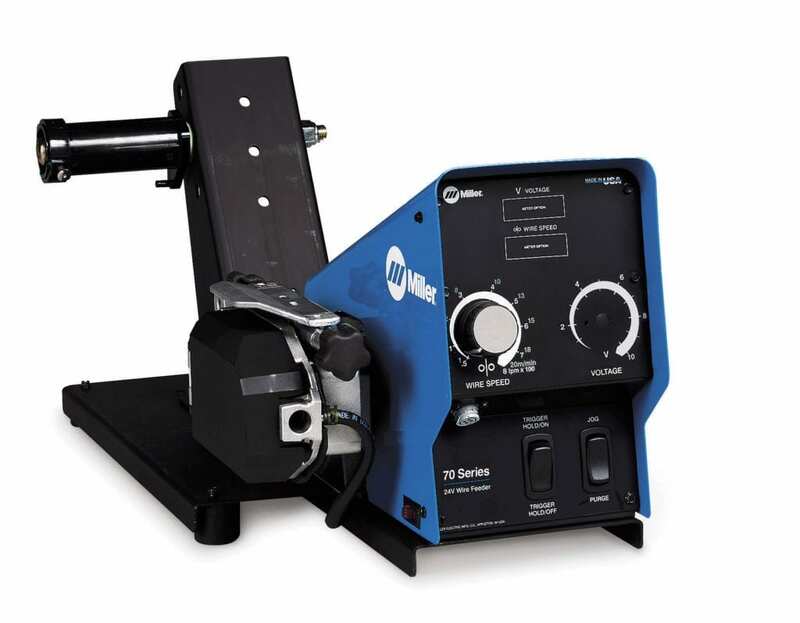 Connected to ROI, there may be some misunderstanding with regard to in-position vs. out-of-position wire deposition rate and efficiency. Let’s look at a single wire vs. dual wire all position solution. Fabricators love 045 E71T-1 wires for their operator appeal and ability to weld in all positions. 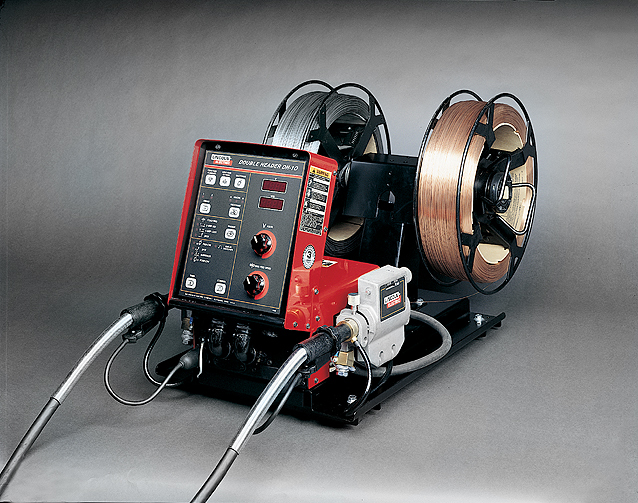 These gas shielded flux cored wire’s maximum out-of-position deposition rate is very respectable. At 9 lbs/hr, their in-position deposition rate is only 11 lbs/hr with an efficiency of 86%. If we wanted a more productive in-position wire, an 045 E70C-6 metal cored wire could give us 18 lbs/hr deposition and 98% efficiency. While 18 lbs/hr would be extremely difficult for a human to deposit, perhaps 13 or 15 lbs/hr wouldn’t be. And, most importantly, metal cored wires don’t incur the labor cost of chipping slag (because there isn’t any) which translates into increased arc-on-time. What’s more, both wires can run on the same shielding gas as long as argon content is between 82-85% (the balance being CO2). 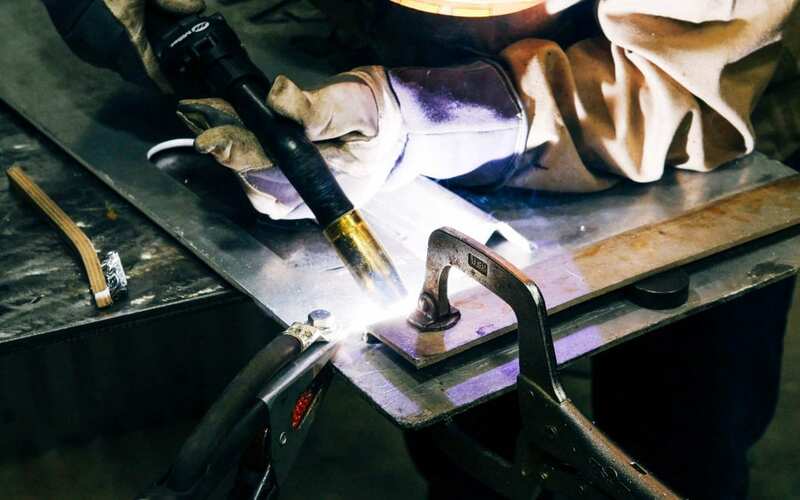 For all position welding, dual wire feeders represent a great productivity enhancing the opportunity for all position welding. Reach out to any of your General Air representatives to receive help with productivity enhancement.